First let me say that it’s difficult for me to say anything negative about local food products, but I really wasn’t happy with Nana’s Chicken Soup from New England Soup company. I purchased a couple of pouches of soup at Market Basket a few weeks ago, to keep on hand when I didn’t have anything planned for my lunch. I finally ate the soup the other day for lunch, and it was a great disappointment. I wasn’t thrilled with the texture, but the worst part was, it was virtually flavorless. 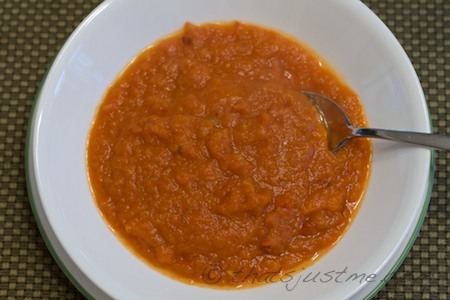 I wasn’t necessarily a lack of salt, although it’s got a lot less sodium than most commercial soups, it was just a lack of deep flavor that develops when you make homemade soup. It just tasted like water. Unfortunately I ended up dumping most of it in the trash. Very disappointing. I still have a pouch of black bean soup, but I don’t know if I’ll just donate it to the food bank, or give it one more shot. I might be apt to give it one more try, because the New England Soup company really looks promising! I love how they have an ingredient tracker on their web site. It seems they really do care, and they are trying to create a healthy alternative to the other commercial canned soups. Oh well, just so disappointing. 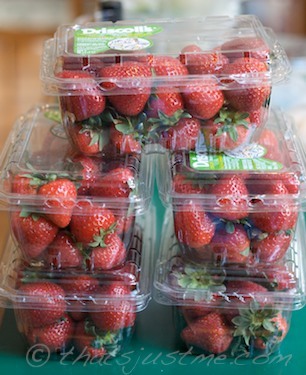 Whole Foods Market Organic Strawberries On Sale Friday! Whole Foods Market is having a monster sale on organic strawberries tomorrow. $1.99 per pound! 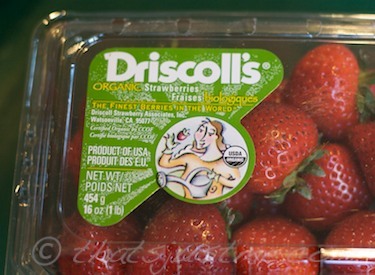 Unfortunately, I called the closest store and they told me the sale strawberries are originating from Mexico. Not happy about that! I called another store and they told me they were mixed from Mexico and California. I’ve been holding off purchasing any berries this season because all the organic offerings have been from Mexico. If I can find California berries I’ll gladly purchase! So the question is do I take a chance and go tomorrow hoping I’ll find strawberries grown in the USA, and if not, should I purchase them from Mexico at this crazy good price? My gut is telling me no, stay away from any commercial organic berries anyway especially if they are grown in Mexico! Wait until my local farm offers them! We will see how I feel tomorrow! UPDATE: On Friday, I found organic strawberries from both California and Mexico. I noticed the ones from Mexico were larger and at first glance, “looked” more appealing. 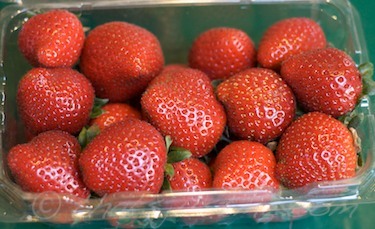 The strawberries from California looked more natural, because they didn’t look at “perfect” as the ones from Mexico. I ended up purchasing 5 boxes. Yum! I cleaned and sliced two boxes for strawberry, apple, cranberry compote, slow cooked in the oven. Added raisins afterward for more sweetness. 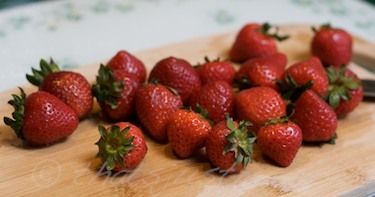 Author debbie @ That's Just MePosted on April 28, 2011 April 30, 2011 Categories FoodTags FOOD, fruit, healthy, Mexican produce, organic, strawberries, whole foods market3 Comments on Whole Foods Market Organic Strawberries On Sale Friday! Just checked out the new sales flier from Whole Foods for the week, and I’m excited to see Moosabec Mahogany Littleneck clams are on sale for $1.49. I’m adding them to my shopping list this week for sure. I’ve never made fresh clams EVER, but it’s a great opportunity to try something new and be adventurous! I might even buy a larger quantity so I can freeze them to make clam chowder later. According to wikipedia, the smallest clams are called countnecks, then next size up are littlenecks. I’m not a big fan of big clam bellies, so hopefully, they’ll be just right. Can’t wait! UPDATE: Friday night, I bought 9 clams (little over a pound). Made pasta with garlic clam sauce. DELICIOUS!!!! I’m going back for more! I’ve borrowed the new Gwyneth Paltrow cookbook from the library – “My Father’s Daughter: Delicious, Easy Recipes Celebrating Family & Togetherness“. I started reading and was immediately intrigued by the recipe on page 58 – “White Bean Soup: Two Ways” – I had a fennel bulb in my crisper drawer and was stumped on how I was going to cook it. So many other fennel soup recipes called for multiple bulbs, but this recipe only needed one fennel bulb! I made a lot of alterations to the ingredients, but next time I’ll definitely stick closer to the original recipe and include the beans so it’ll be a complete meal! But I did really like my addition of both canned and sun-dried tomatoes. If you’d like to take a gander at Gwyneth’s original recipe, it’s available at various locations online. 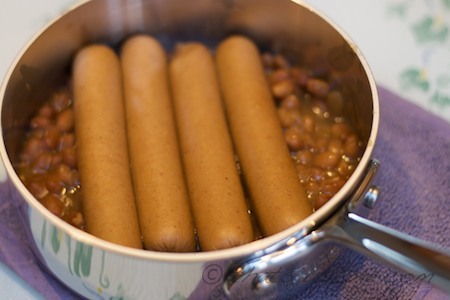 I had purchased Applegate Farms turkey franks as training treats for the dogs, and since I only had a can of baked beans, they were a perfect combination with the soup. cayenne chile powder or flakes to taste – I used just a pinch, and it added a perfect spice undertone. Optional: 1/4 tsp of tumeric and/or paprika spices. Heat large soup pot over medium heat. Add the coconut oil, then fennel, onions, and carrot. 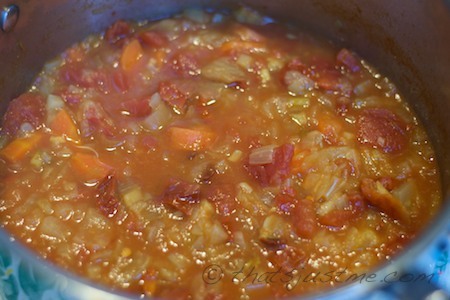 Turn heat down to low, and cook until softened, about 20-30 minutes. Once the vegetables become soft and sweet, add a few Tbsp of water and scrape up the browned bits at the bottom of the pan. 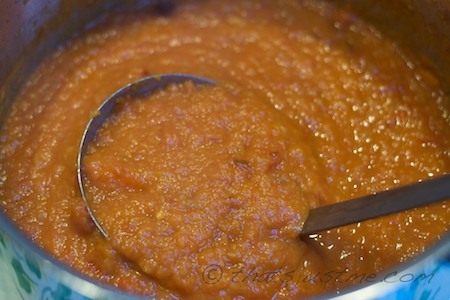 Once the soup is finished, you can leave it chunky or use an immersion blender to puree to your preferred consistency. Use the nutritional data as a guide; the info is not absolute, your results might vary considerably depending on your ingredients. I left out the sodium data since it can vary so much. This soup tasted awesome the next day for lunch! Oh I love this soup! 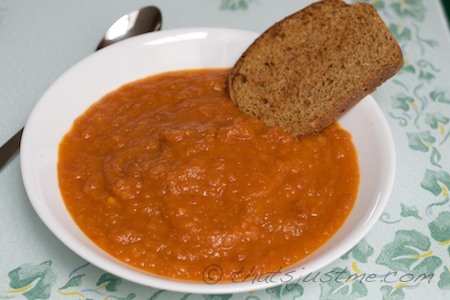 UPDATE 2011-05-11: Made the soup again tonight, adding freshly made (dried) navy beans. I baked a couple of Whole Foods chicken sausages to slice into our bowls of soup; paired with a large salad of baby greens, this was a perfect dinner. Really low calorie too! A few days ago, I made a batch, but added too many potatoes, and they overpowered the soup’s flavor. Potatoes are a great addition, but only when you add one or two at the most! 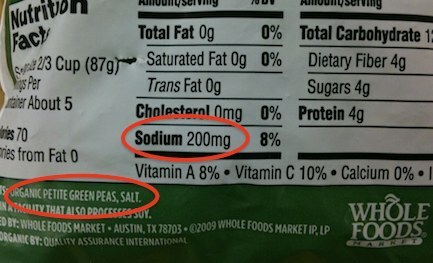 Whole Foods Market Adds Salt to Frozen Peas! Why? Then I glanced at the nutritional data and noticed that there was 200 mg of sodium per serving! Salt? In frozen peas? Why? I checked their non-organic frozen peas, and same deal. 200 mg of sodium. I wasn’t happy about it, especially since I purchased a bag a few weeks ago. I very rarely purchase frozen vegetables, but I do like having frozen corn and peas on hand. I just don’t understand the reason that salt is needed in a frozen vegetable product! I can think of no other reason other than to make it taste better, which seems like a sneaky way to maybe get more customers to purchase again…many not realizing that they are purchasing a product with additional sodium, adding to the flavor! 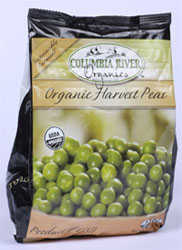 I found the Columbia River Organic brand nearby, and decided to purchase their product instead. No added salt, and product of the US! Sounds good to me! 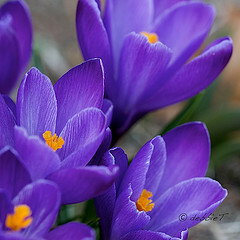 Author debbie @ That's Just MePosted on April 17, 2011 April 26, 2011 Categories FoodTags FOOD, frozen vegetables, healthy, sodium, vegetables, whole foods market6 Comments on Whole Foods Market Adds Salt to Frozen Peas! Why? I’ve been listening to the audio book “Veganist: Lose Weight, Get Healthy, Change the World” (by Kathy Freston) and it’s actually starting to influence me! No, I can’t see myself living a full time vegan lifestyle, but I’ve been leaning into reducing our meat consumption more and more. Just this week, we ate several meatless and almost-meatless meals, and they were really satisfying delicious meals! But some of the health claims in the book I feel are a bit exaggerated, but there is definitely some good advice. No, I don’t think that meat literally is the cause of all our health problems, but I do wholeheartedly believe that the QUALITY AND QUANTITY of meat is extremely important. If we could just shut down all factory farms (both plant based and animal based), our world would be so much better! The one thing I emphatically do not agree with in the book is her recommendation to consume highly processed vegan products like soy hot dogs and fake chicken. Personally, I think foods like this pose absolutely no benefit over eating true meat. I just can’t understand recommending a fake soy sausage vs eating an organic humanely-raised chicken leg. Another surprising revelation is I am starting to alter my position on natural soy products. I just bought some (fermented) miso and am actually thinking of maybe trying tofu again, and also tempeh (shh, don’t tell my DH). I still haven’t decided if soy estrogens are bad or not. I need to do more research, but it’s not 100% out of the question, like it was a couple of weeks ago. So, I feel like my life is beginning another exciting transition. It’s what keeps it fresh, right!? I want to be more responsible about the type of meat that I put on my plate, making sure the animal is being treated humanely, and at the same time not causing further damage to our environment. Plant based foods are delicious, and it’s exciting and intriguing to learn more about new recipes and cooking techniques. I don’t know why the Food Network hasn’t offered an official vegetarian/vegan cooking show. I would be SO interested, as would a lot of other people too, because a lot of us don’t know HOW to cook vegetarian! It’s easy to throw some cheese or eggs into a dish and call it meatless, but I want to learn more. I don’t want to rely on eggs and cheese as a crutch, which I know I’ve been doing. I would like to reduce ALL animal products! Yes, I’d like to be veganish a few times a week! I found the most wonderful book at the library, and it’s started up a new obsession with Japanese cooking! The book, “A Cook’s Journey to Japan: Fish Tales and Rice Paddies 100 Homestyle Recipes from Japanese Kitchens” is awesome! I’ve borrowed a couple Japanese cookbooks previously, and none of them struck me so profoundly as this book! What first grabbed me was when I was briefly leafing through the intro chapter, I found the Miso description in “Essential Japanese Ingredients” on page 21. I never fully understood exactly what Miso was, and this book explained 5 different types of Miso: soybean (Hacho), red (Aka), white (Shiro), yellow (Shinshu) and barley (Mugi). I then went back and re-read the prior pages more carefully, to see what I missed. The book’s photos are not just gorgeous to look at, they are wonderful representations of finished dishes as well as many instructional steps. So much great detail! I think my favorite photo was on page 71 at the start of the Rice and Noodles chapter. Oh yum, I could just dive into that bowl of fried soba noodles and rice! I haven’t tried any recipes yet, but I have several new intriguing ingredients on my grocery list: bonito flakes, konku kelp, and white miso. I’m dying to make a batch of miso soup! Plus, I already have Nori in my cabinet, and I’d love to try rolling up some basic rice and veggie sushi with it. Oh my mouth is watering just thinking about all this awesome food! So, after googling to learn more about sushi, I found a cool Japanese recipe web site, Just Hungry, which led me to info for packing healthy simple Bento box lunches – Just Bento and another awesome book “The Just Bento Cookbook: Everyday Lunches To Go” – I’ve requested this book from the library, and I’m on the wait list! So bottom line, I highly recommend the A Cook’s Journey to Japan: Fish Tales and Rice Paddies 100 Homestyle Recipes from Japanese Kitchens by Sarah Marx Feldner; and I’m looking forward to experimenting with so many creative ideas from the book, like Golden Egg Threads, Miso Soup variations, and all the noodle and rice dishes. Oh yum! One last word before I end this post, my thoughts and prayers go out to all those affected by the recent earthquake and tsunami in Japan. Besides the destruction of the natural disasters, they have to deal with the scary reality of radiation contamination. I can’t even imagine what some are going though, and I hope that they can eventually find some sort of peace and normalcy. It feels so petty and selfish to be blogging about a Japanese cookbook while some citizens of Japan have lost their family, friends, homes, businesses, possessions, etc. I can only pray and hope that their lives will heal!